The countdown to the United Soccer Coaches Convention in Chicago is almost over – its go time! We’re gearing up for a one of a kind, exclusive giveaway for our fellow soccer enthusiasts and convention attendees. Diehard Scarves will be giving away 100 custom pieces of either a scarf or beanie (YOU CHOOSE!) to one lucky winner… for FREE! Diehard Scarves has signed on with Juventus F.C. as an Official Licensee. Diehard Scarves will serve both the U.S. and Canada, providing officially licensed scarves and socks. “We are very excited to partner with a storied club like Juventus. Their excellence is internationally recognized and we are extremely proud,” said Division Manager Matt Ryba. Product will be released throughout the 2018-2019 season and will be made available shortly. Please stay tuned to www.diehardscarves.com/shop for the new releases. You know what they say, everyone’s game is different. We see so many talented players, and while they are all great, they are all unique. A different skill set, personality, build, etc. You name it, no one player is the same. It’s part of what makes the game beautiful. No one tunes into games hoping for them to mirror each other. We like the excitement of seeing different skill sets displayed. This is across all sports, not just soccer. Ronaldo has a finishing ability second to none. Watch a recent finish by Ronaldo in the UCL against Juventus from April, 2018. Messi is masterful at creating opportunity with his touch (which often times leads to goal). Watch 10 ways Messi impresses the soccer world with his ability to create. It is truly remarkable when you think about it. These players found their skill set and worked to develop it over time. Years and years of practice and millions of touches on the ball have gone into shaping them into the player they have become today. Now, in 2018, there are so many great tools that can help develop players. Children can get their hands on equipment and lessons that they can use right at home to continue their development. 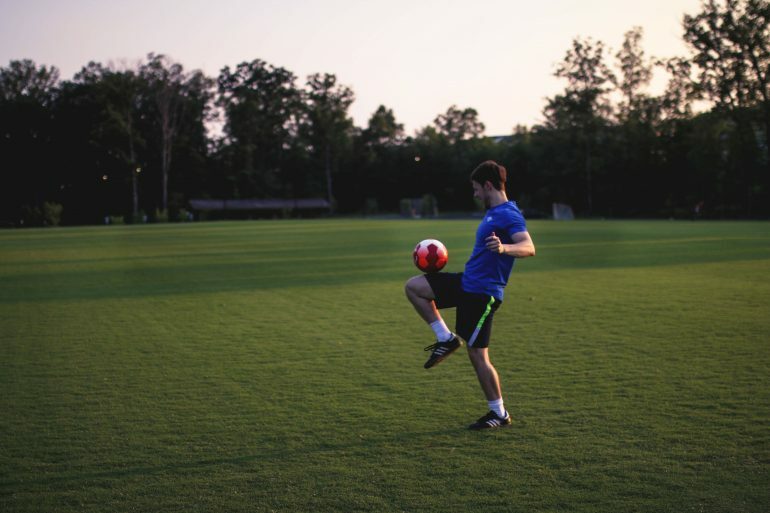 A top-tier training program (not to mention extremely affordable) like the soccer vortex from Beast Mode Soccer is a great example. This program was created to help players develop all aspects of their game. Everything from control to footwork to passing to finishing, and everything in-between. It includes the mental, physical, and nutrition portions of the game —> Don’t believe me? Check it out! You also have some fun yet very effective tools available like DribbleUp. All you need is a some space and a phone and BOOM, you are ready to train. With over 75 drills available this virtual training aid will get you the touches you need all while having a blast. If tools like these don’t excite you for the future of this sport I am not sure what will. Just like players are custom tailored, so are our custom scarves. Scarves have been around forever. 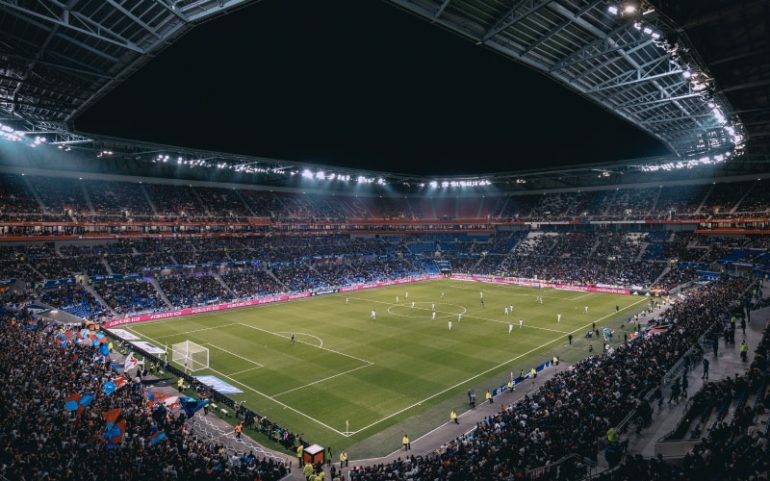 As you may have read in our blog, The History of Soccer Scarves, scarves have a long standing place in the game of soccer. Each team, club, school, and organization are unique, just like players. They are in different markets, geographic locations, serving different demographics. Here at Diehard Scarves, we work with our customers to custom tailor gear to fit their exact needs. We help them stand out among the masses by creating merchandise they are proud of. The pride isn’t in the product, it simply gives them a platform to wear what they value. So if you are in need of an apparel upgrade or looking to get your team, fans, and supporters in your gear, let us help! We customize all our products: Custom Scarves, Custom Beanies, Custom Socks, Custom Apparel (T-Shirts and more). Teams come from far and wide, all seeking to claim eternal glory. Every year, come spring, the best-of-the-best seek to advance in the tournament. 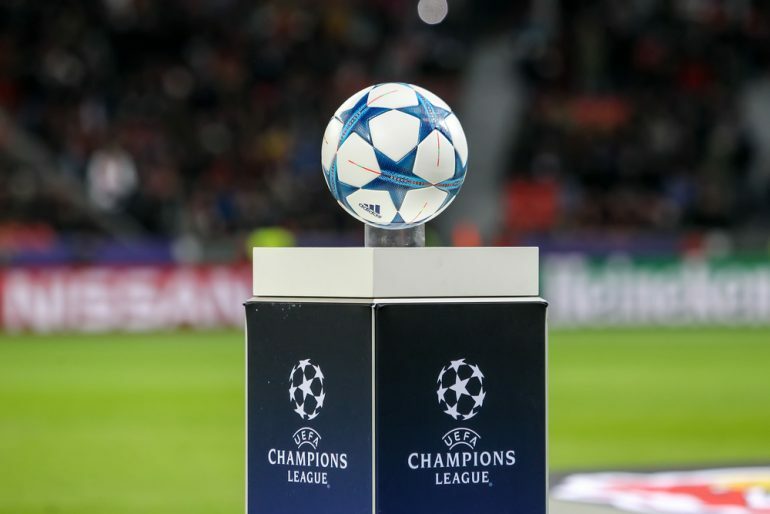 All the players have earned the right to compete and each team wants to claim the title of the undisputed champion across the leagues. The madness is watched by millions and everyone has their pick on who should win the top prize. Sound familiar? If you said the NCAA Men’s Basketball Tournament, you are right. This year has not let us down. We have seen the surge of upsets and the Cinderella teams like Loyola Chicago advance all the way through as an 11 seed. Yes, you read that correctly, an 11 seed. What if I told you there is another tournament that has all that excitement, and more? Do you smell that? Change is in the air. Soccer pitches are being cut and prepped. Players are anxious. Fans are ready. The 2018 Major League Soccer (MLS) season is about to begin! So are you ready to be the biggest and best MLS Club supporter? We know you are up to the challenge and we are here to help outfit you with the best soccer knowledge and resources. Who better to provide you with soccer knowledge than us, an official licensee of MLS. Read on to learn how to be a Major League Soccer fan of your favorite MLS team. The new MLS Season kicks off on March 3, 2018, and concludes on Dec. 8th, with the MLS Cup Final. Soccer is a lifestyle. Not just any lifestyle either, its filled with animated players, enterprising supporter groups, and loyal followers of clubs all over the world. This year we’ve created a holiday gift guide that will keep the soccer fan in your life happier than an Emerald City member after a big win over the Portland Timbers. From this year’s hottest gear to the 2018 FIFA World Cup tickets, get ready to take the kick off for your soccer fan with the premium gifts in our 2017 Soccer Fan Holiday Gift Guide lineup. There’s a new supporter group in town! We wanted to take a moment to introduce you to our friends, LBChrome. 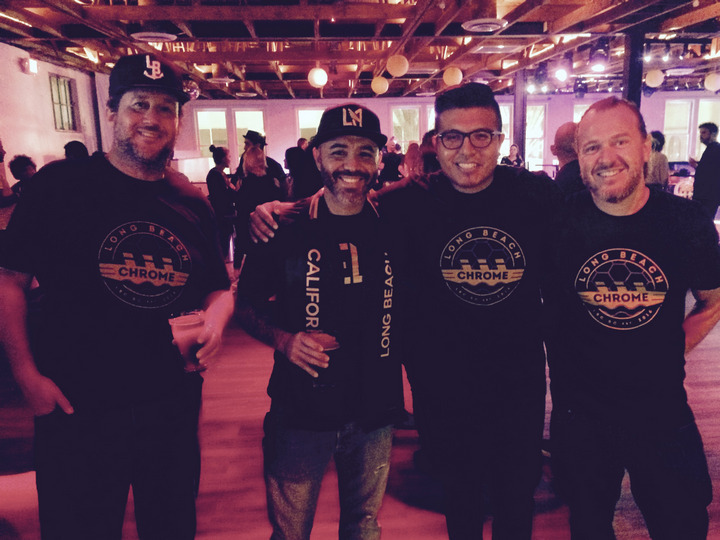 LBChrome considers themselves a Social Club, focusing on growing the local football community and gathering support for the home side of LAFC, while strengthening and building the LBChrome family. We’re gearing up for the back to school season, which means we’re ready for soccer season to kick up its heels once again! 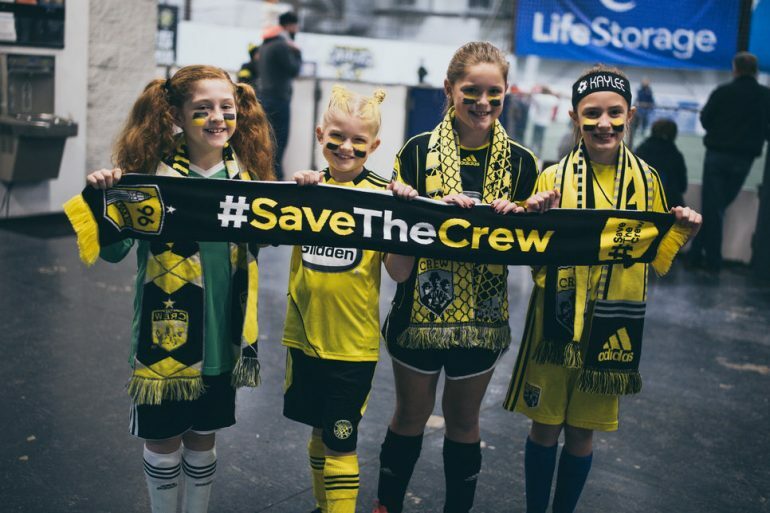 Along with unmatched team spirit and some of the most enthusiastic supporter groups out there, the latest fashions trends for both players and diehard fans are taking over fields across the country. It is soccer fans are the real trendsetters – so tie your laces tight as we kick off our favorite back to school soccer looks!